Not only does this book provide readers with a solid foundation in structural stability theory, it also offers them a practical, working knowledge of how this theory translates into design specifications for safe steel structures. Structural Stability of Steel features detailed discussions of the elastic and inelastic stability of steel columns, beams, beam–columns, and frames alongside numerous worked examples. For each type of structural member or system, the authors set forth recommended design rules with clear explanations of how they were derived. With its clear logical progression from theory to design implementation, this book is an ideal textbook for upper–level undergraduates and graduate students in structural engineering. Practicing engineers should also turn to this book for expert assistance in investigating and solving a myriad of stability problems. Section 1.2 Basics of Stability Behavior : The Spring–Bar System. Section 1.3 Fundamentals of Post–Buckling Behavior. Section 2.2 Large–Deflection Solution of an Elastic Column. Section 2.4 The Basic Case: Pin–Ended Column. Chapter 3: Inelastic Column Buckling. Section 3.1 The Tangent and Reduced Modulus Concepts. Section 3.3 Example Illustrating the Tangent Modulus and the Reduced Modulus Concepts. Section 3.4 Buckling Strength ff Steel Columns. Section 3.5 Illustration Of The Effect of Residual Stresses on the Buckling Strength of Steel Columns. Section 3.6 The Effect of Initial Out–of–Straightness and Load Eccentricity. Section 3.7 Design Formulas For Metal Columns. Section 4.2 General Discussion Of The Behavior Of Beam–Columns. Section 4.3 The Elastic In–Plane Behavior Of Beam–Columns. Section 4.4 Elastic Limit Interaction Relationships. Section 4.5 Example Problems Of Beam–Column Strength. Section 4.6 Systematic Methods Of Analysis: Flexibility Method. Section 4.7 Systematic Methods Of Analysis: The Stiffness Method. Section 4.8 Inelastic Strength Of Beam–Columns. Section 4.9 Desi gn Of Beam–Columns. Section 5.2 Two–Bay Frame Examples. Section 6.2 Basic Case: Beams Subjected To Uniform Moment. Section 6.3 The Effect Of Boundary Conditions. Section 6.4 The Effect Of Loading Conditions. Section 6.5 Lateral–Torsional Buckling Of Singly–Symmetric Cross Sections. Section 6.6 Beam–Columns And Columns. Section 6.7 Inelastic Lateral–Torsional Buckling. Section 7.5 Effects of Imperfections. Section 7.6 Column Bracing Provisions. Section 7.8 AISC Design Provisions for Beam Bracing. 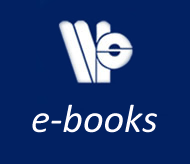 Chapter 8: Specification – Based Applications of Stability in Steel Design. Section 8.2 Development of the beam–column interaction equations. Section 8.3 Assessment of Column Strength. Section 8.4 Assessment of beam strength. Section 8.5 Specification Based Approaches for Stability Assessment. Section 8.6 Effective Length Factors, aka "K–factors". Section 8.7 Design Assessment Example. Section 8.8 Frame Design Requirements in Canada and Europe. Theodore V. Galambos, PE, PhD, is Professor Emeritus at the University of Minnesota and a member of the Executive Committee for the Structural Stability Research Council. 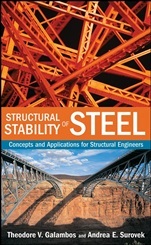 He is also the editor of Guide to Stability Design Criteria for Metal Structures, Fifth Edition (Wiley). Among his many accolades are the AISC T.R. Higgins Lectu reship Award, ASCE Ernest E. Howard Award, ASCE OPAL Award, and SSRC Lynn S. Beedle Award.